Has Twitter Forgotten its Customers? What interests me the most about Twitter as a platform and an infrastructure is its ability to help support social and political movements, more than its potential as a marketing tool. This came home to me when I watched this recent 14-minute TedTalk by Siyanda Mohutsiwa about How Young Africans have Found a Voice on Twitter. As Siyanda explains, Twitter excels as a platform that can be used to unite and inform people who have common interests and values--in her case, pan-Africanism. The fact that many Africans now have mobile phones capable of sending and reading text messages, including Twitter posts, relatively cost-effectively, makes Twitter the perfect platform to support collaboration and connections across national borders. Twitter has a global reach and is still the second most popular social media platform (after Facebook). But something's not right. "After setting an initial public offering price of $26 a share, Twitter Inc. first sold shares on Nov. 7, 2013. It was a great first day of trading, with the shares soaring 73% above the offering price to close at $44.90. The stock ended up peaking at $73.31 on Dec. 26, 2013." "But it’s been a rough ride for the Twitter faithful. The stock closed at $16.85 Friday, [March 18th, 2016], down 35% from the IPO price." "Twitter repeatedly reports outsized stock-based compensation to executives and employees, which dilutes the stock considerably each quarter." Philip goes on to demonstrate that Twitter's stock-based compensation as a percentage of revenue has ranged from 90% to 31% in the past three years, since the IPO, and in the last quarter Twitter had the highest percentage of stock-based compensation to revenues, at 21.8%, of any publicly traded company. Twitter and Facebook have very different social media value propositions. Twitter consists of quick takes; Facebook tends to encourage richer, more leisurely posts. Facebook has acquired additional companies (What's App, Instagram, etc.) which make comparisons even more difficult. However, both companies have a dominant position as global social media platforms and both have embedded themselves into others' websites and apps, spawning and encouraging ever-expanding ecosystems. Is Twitter in Trouble, and if so, Why? So, Twitter is using its stock to motivate employees and executives as the company's value continues to decline and investors continue to get diluted. Twitter has systemically neglected to align its ecosystem around end-consumers' needs and interests. In 2013, I wrote an analysis of Twitter's customer ecosystem and value engine: How Valuable and Sustainable is Twitter's Customer Ecosystem? And I asked the question: "What is a Twitter customer worth?" By "customer" I meant end-user/consumer; not business customer or marketing executive. In other words, the people who use Twitter to enhance their lives. As you can see from the Statista chart above comparing Twitter at 10 years vs. Facebook at 10 years, their revenue per user is comparable. But that doesn't tell you the whole story of the value of the company and the ecosystem it has created. The perceived value of the future revenues from that ecosystem are often factored into the company's valuation. Notice the difference in the market cap of Twitter and Facebook at their respective 10 year marks: $11.6 billion for Twitter and $160 billion for Facebook. At the close of the market on April 1st, 2016, Twitter's Market Cap was $11.06 Billion and Facebook's was $340.44 Billion. Twitter has 320 million monthly active users; Facebook has 1.6 billion monthly active users. The market values each of these end-customers, therefore, at $34.56 for Twitter and $212.78 for Facebook. Why is there such a big disparity? I believe that it's because Twitter's management team is not focused enough on what makes the platform valuable. Copyright 2013-2016 Patricia Seybold Group, Inc. I explained that the value of the revenues generated by Twitter's entire ecosystem might be as high as 100x the value of Twitter's revenues But all the players/layers in the ecosystem (publishers & media providers, app developers, customer service teams, companies or brands' marketers, advertising agencies, companies' customer service teams, data providers, and Twitter itself) rely on the end-customers/consumers to tweet, read tweets, and retweet tweets in order for the ecosystem to be sustainable. What are Twitter's Customers' Moments of Truth? To judge how well an ecosystem supports the customers at the core of that ecosystem, we look at customers' critical scenarios and at what we call "moments of truth" or showstoppers--the things that keep customers from accomplishing those scenarios, e.g. getting the things they care about done. Although these moments of truth have no doubt evolved since our research in 2013, I would venture to guess that Twitter hasn't had these "Customer Success Metrics" on its radar, nor do they focus on providing functionality for their ecosystem partners to support these customers' needs. People are seeing and retweeting and replying to their tweets? If there's anything happening anywhere in the world, it's being documented in real time via twitter? Tweeters with issues receive timely answers? The people whom active users are following continue to tweet frequently? If you want to sustain and grow a strong customer-centric ecosystem, you provide the tools to your ecosystem partners that let them monitor how well they're doing in supporting your end-customers' success metrics. 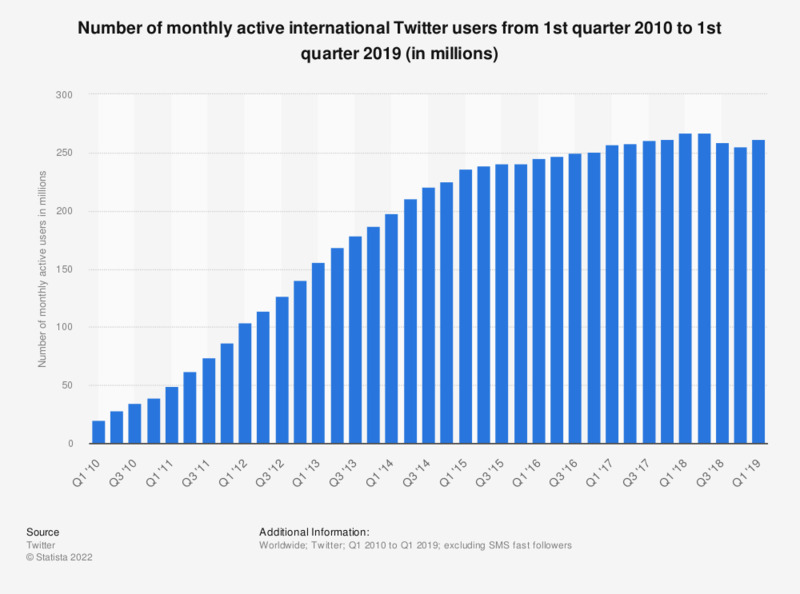 Both Twitter and Facebook have become very global, with many more active users and much faster growth outside their home country, the US. The income and consumption per user is lower outside the US, but that doesn't seem to keep large global brands from leveraging both platforms to reinforce their brand images and to reach broader audiences. Twitter's global/mobile reach is one of its core assets. It's what allows a local event or brand to attract global attention. How should Companies Use Twitter to Reach More Customers? As Siyanda's Ted Talk demonstrates, Twitter is, first and foremost, a social platform. People pay attention to what others' in their social circle care about, but they also EXTEND their social circle via Twitter based on events, topics, and concerns. So, use hashtags for every event you hold and add your business support to local events, disasters, challenges, and causes. In addition to using Twitter to "Strut my stuff" and to track world and local events, I am a firm believer in the use of Twitter for customer support, having found it to be the best way to get the attention of many relatively clueless customer support bureaucracies. My rule of thumb is this: if I can't get a good answer/resolution after 30 minutes via email/chat and/or phone, I turn to Twitter. I find that a critical tweet with a [Brandname] #Fail hashtag gets my issue to the top of the customer support priority list almost every time. My advice to marketers deciding where to invest in Social Media is to focus your CUSTOMER SERVICE spending on beefing up your Twitter infrastructure and Responsiveness. Nothing will help your brand more than responsive customer service on Twitter. It provides a level of transparency that today's busy, mobile users value, wherever they are in the world.